We have added a new project to our 'In Progress' section of our portfolio! The Leigh Street Residence will be a 1,800 sf new construction home located in the popular Lavaca neighborhood south of downtown. The home is situated on a narrow lot with views of Hemisfair Park and the Tower of Americas. 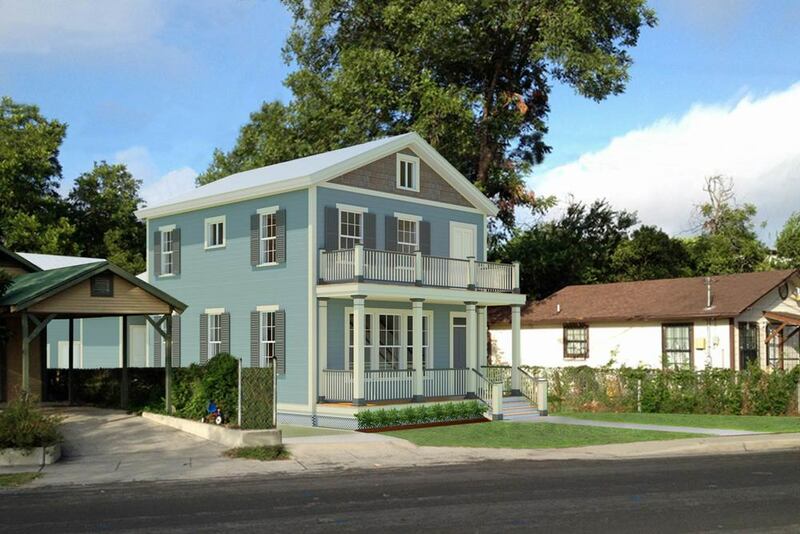 It will feature a detached garage, open floor plan with a large front porch and adjacent second floor balcony above. The client's wish was a traditional two-story home that would fit in with the vernacular of the historic neighborhood while taking advantage of the great views downtown.